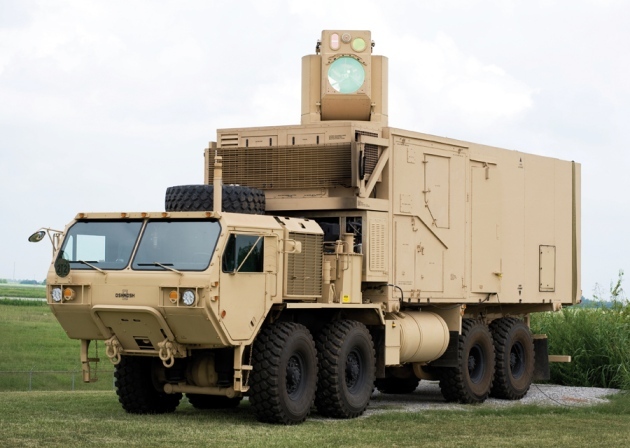 IT’S BEEN JUST a few months since Lockheed Martin gave the US Army the most powerful laser weapon ever developed, a ground vehicle–mounted system that can burn through tanks and knock mortars out of the sky. Now the US Air Force wants its own toy, so Lockheed’s engineers are back in the lab. They’re making a laser blaster for a fighter jet to swat down incoming missiles. This spring defense contractor Raytheon became the first to destroy a target with a laser fired from a helicopter. At White Sands Missile Range in New Mexico, the Apache AH-64 shot a truck from more than a mile away, while on the move and from a variety of altitudes. Raytheon is also building a laser-firing, drone-killing dune buggy. Boeing has its own anti-drone laser cannon. 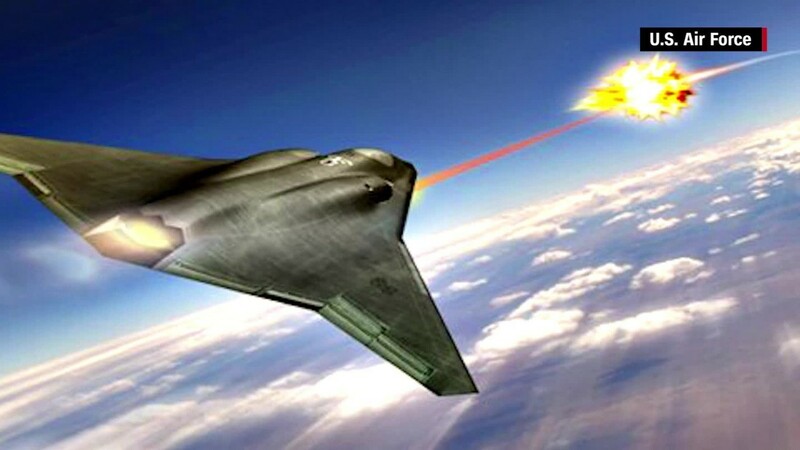 The new assignment falls under the Air Force Research Lab’s Self-Protect High Energy Laser Demonstrator program, which, in the ever flexible world of military acronyms, is also known as Shield. The defense contractor is aiming to have a system it can test on a fighter jet by 2021. Lockheed will be adapting the system it developed for the Army to address the challenge presented by this new $26 million contract, with a goal of self-protection against ground-to-air and air-to-air missiles. The program’s work will be divided among three subsystems, each with its own strained acronym. The Shield Turret Research in Aero Effects (Strafe) includes the beam control system. The Laser Pod Research and Development (LPRD) will power and cool the laser on the fighter jet. Then there’s the laser itself, known as the Laser Advancements for Next-Generation Compact Environments (Lance). The core technology will be a fiber laser, which uses fiber optics to enhance the power of the beam, with multiple individual lasers bundled together to create a scalable system. Together, they would work to heat up an incoming missile's fuel tank, causing it to explode, or target control surfaces like fins in order to simply disable it. Then there’s the question of reducing the laser’s size, weight, and power consumption to the point where it can work on a small jet. Lockheed developed the aforementioned Airborne Laser Test Bed for the Missile Defense Agency, but that system took up most of the 747’s fuselage. Using a solid-state system should help there. If Lockheed can deliver, the Air Force gets a weapon that’s not just lighter and (likely) cheaper than equivalent missile and machine gun systems, but one that could change how it deploys its fighters. 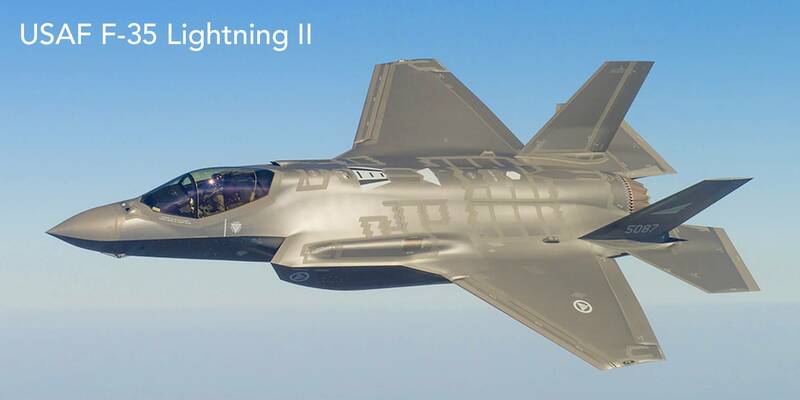 If you’re packing a missile-killing laser, you can go places and do things that now demand the sort of extremely expensive stealth tech of the F-22 Raptor and the F-35 Lightning. Even if that doesn’t eliminate the need for stealth aircraft—since those systems are largely undetectable and offer the element of surprise—Singer argues that they can work as force multipliers. Better yet, they can provide insurance against the quantum radar systems reportedly being developed. Being invisible isn't so crucial when you’ve got a laser that lets you waltz into enemy territory, do your job while zapping missiles out of the sky, and cruise home. At least, that is, until the enemy develops lasers of its own. Then, it’s on to whatever sci-fi weapon comes next. A lot of people have been predicting such a change for a while now - 'truck'-style attack aircraft loaded down with ECMs and other modular defenses are a lot easier to maintain and build than advanced stealth fighters, and, as components improve over time, they're a lot easier to keep from obsolescence than their smoother, stealthier counterparts. The F-18 is the premier example of this - an old 3.5th generation aircraft that still serves as the worldwide symbol of force projection through air power due to its low cost and extensibility. Thanks Shane ! This is a great post ! A quick comment: there is also a lot of research done on optical camouflage, which might give an additional edge if combined with thermal and radar cloaking. If something is invisible, you can't target it, even with lasers. Also, it might be possible that the next generation of military vehicles will be designed to counteract laser weaponry. It might take a while, but I'm pretty sure there is already somebody designing reinforced/cooling heat sinks (and whatnot) fuel tanks for missiles. If you can give a few more seconds of life to the missile under laser fire, it might still hit the target. "Optical Camouflage" is also called " Active (Motion) Camouflage " . is a primary cue for detecting predators and prey. Predatory animals attacking stationary prey generally attempt to conceal their presence by approaching very slowly, sometimes relying on a camouflaging background. Active motion camouflage has been proposed as a strategy by which a predator can conceal its movements while shadowing or attacking highly manoeuvrable prey. Motion camouflage can be achieved if one animal (the shadower) moves in such a way as to produce the same image motion on the retina of another animal (the shadowee) as would a stationary object in the environment. image from the viewpoint of the camera. Back in 2014, a laser gun (the Laser Weapon System, or LaWS), went into service on the warship USS Ponce. Created as a defense system against drones, more laser weapons are making their way to the battlefield. But there’s a problem: Their flying targets have begun to defend themselves. It was back in 1973 that an Air Force experimental laser first shot down a drone. 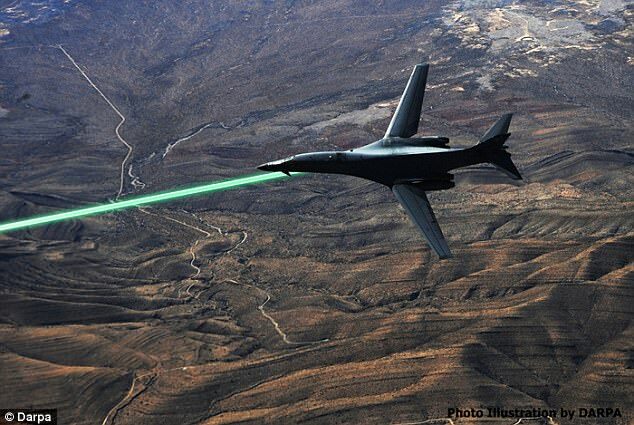 Ever since, drone targets have been used to prove that laser weapons can effectively take down airborne objects. Lasers are still too weak to be effective against ships, tanks, or planes—but drones, which are smaller and lighter, make for easier prey. Today, miniature kamikaze drones that can deliver explosives to a target, like the US Switchblade, are being used in warfare all over the world. Many nations, including China and Russia, make or export them, while groups like ISIS have developed homemade versions. As these flying weapons grow in popularity, engineers are developing defenses against them. Lasers, with their pinpoint accuracy and low cost-per-shot, look like the ideal way of zapping a swarm of incoming drones. That’s why DARPA, the Israeli defense manufacturer Rafael, Boeing, and others are investing in counter-drone lasers. But developing these lasers takes time—which has given researchers a chance to protect drones in new ways. The Office of Naval Research (ONR) leads in this field: Its Counter Directed Energy Weapons program focuses on countering high-energy laser, microwave, and radio-frequency weapons. One of their simplest solutions? Cover drones in mirrors. To avoid this, drones will require a superior mirror. Dielectric or Bragg mirrors are composed of many layers of dielectric material (a type of insulator), with precise spacing between each one. 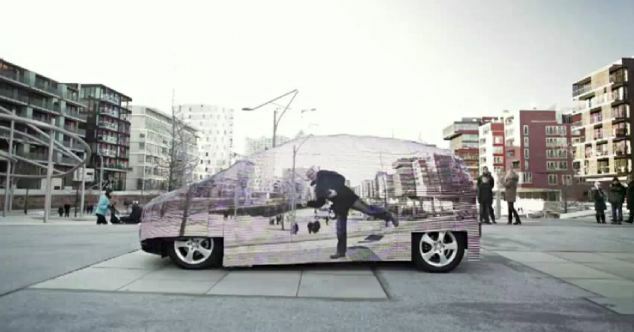 By adjusting the layers, engineers can create a mirror with a reflectivity of up to 99.99 percent. That reflectivity, however, only works for a specific, narrow range of wavelengths. “Protecting against all wavelengths would be ideal, but difficult,” Hoffman says. 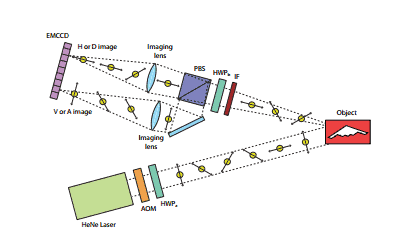 Fortunately, most lasers operate on a single wavelength, so a dielectric mirror would work as long as drone operators know what type of lasers they will be facing. Instead of a built-in layer, perhaps dielectric mirrors could be applied as spray-on coatings, which could be applied at short notice to defend against specific weapons. The Navy’s work is under wraps, but the Air Force has funded research into making such coatings from engineered nanoparticles. Mirrors aren’t the only drone-saving method that the ONR is considering. Ablative materials, which can absorb laser energy and use it to transform into a gas, could provide a protective coating around a drone. The laser strike would hit the ablative material and vaporize it, without dealing serious damage to the target underneath.